It was at the end of a fibrous-food filled day, a groan escapes from the bowels of the boat. 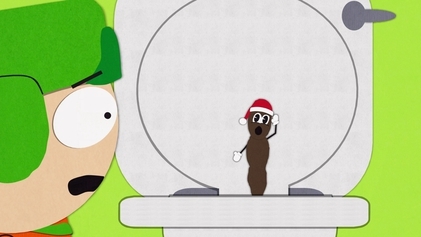 From below comes the shaky voice of our comrade, "Ummm....I think there's something wrong with the toilet." The dark force has awaken and it has stolen away my happiness. For, I know the implications. Over zealous use of toilet paper - It is easy to forget that marine toilets don't like a lot of (any??) toilet paper. In the heat of the moment, the user just wants to get things done...using as many sheets as they feel required. The intricacies of toilet mechanics rarely come into people's minds. Ultra plush toilet paper - Anyone who has repaired a marine head knows that it is imperative that only the worst toilet paper should be used in one of these things. The engineers apparently do not have access to 2-ply paper when they develop their models and plans for marine heads. The rule of thumb is that you should only use TP that is guaranteed to tear on first contact. We made the ultimate sin by attempting to use "ultra" TP. So, I tear reluctantly into the system. My preliminary research has shown me that the choker valve is a likely candidate. I start by disassembling the main cylinder...hunting for the valve. Eventually I work my way backwards through the system until I figure out that the problem is actually further up the line in the discharge hose. Luckily I was at our club pump-out station, so I used the pump-out to slurp out the clog from the discharge hose. Phew! Problem solved...right? Well, not so fast. 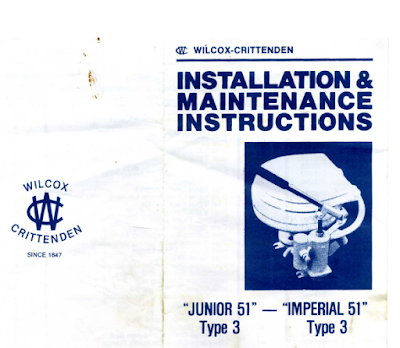 Apparently my boat has been blessed with a Wilcox-Crittenden Imperial 51 head. According to the inter-webs, this throne is a "pearl beyond price, the pinnacle of the nautical plumber's art". I had no idea. From what I have read, I would be (at a minimum) ridiculed if I even think of getting rid of this head and replacing it with a $200 plastic atrocity. So, here I am, I need to fix it. Thanks again to the inter-webs, I have found a copy of the manual. The best thing about this manual is that the scanned copy actually has proof of its use stained on the cover. This brings a certain authenticity to the document. I feel the pain of the poor soul who put this poop laden paper into his scanner. From the manual I find out that there is a service kit available for the head and that a mere $169.95 will solve all of my woes. As per the recommendation of some helpful person on a forum somewhere, I removed the head and took it home for a revamp. A quick two day turnaround from Binnacle got me my parts. I started by disassembling the head and removing as many of the serviceable pieces as possible. If I'm going to do this, I'm going to replace as many parts as I can. As I was disassembling it I did my best to keep it straight which direction parts were oriented. The manual isn't really clear in this respect. Putting the toilet back together was relatively straight forward. No major surprises.